Creatures 2 takes place in Albia centuries after most of the original Creatures world was destroyed by a massive volcanic eruption, caused by the Lone Shee's spaceship (the Capillata) taking off. Released in September 1998, it was the second PC game in the Creatures series. It has a larger world, more complex Norns and ecology, and introduced the Ettins, as well as the Genesplicer (which allowed the artificial combination of two Creatures into one). This game is no longer available separately, but can be purchased as part of Creatures: The Albian Years. The background images for Creatures 2 are available at C2 Back. There are also a set of comic strips in the Creatures 2 style entitled River and Petal. Read the Creatures 2 Credits. After creating a world, the player (represented by the Hand) starts at the incubator area in Albia, unable to move away from this area. In the Nest kit, some creatures are waiting in their eggs for the player to pick and hatch them. The player can pick one or more creatures to hatch, teach them about the good and bad things in the world, learn to Bibble or teach their creature Handish, explore all of Albia which is filled with lots of colorful critters, plants, flowers, toys and maybe even ettins and grendels. To interact with their norns, the player can either pet or slap them, talk to them or push them into a specific direction. Creatures can mate with each other and lay eggs which will hatch into creatures that have a mix of the genetics of both parents. There are powerups hidden all over the world which can only be activated by creatures. When activated you can use extra kits, use the splicer, select ettins/grendels or allow infinite scrolling without being locked to a creature. There are a lot of third-party COBs and breeds or even new worlds made by the Creatures Community available which you can inject into your game. Creatures 2 was released with still some bugs in it, but the community developed patches and bugfixes, Better Albia is one of those. There is also a tool being developed, Albian Command which hopes to allow people to send creatures to each other through a warp-like system like in Docking Station. 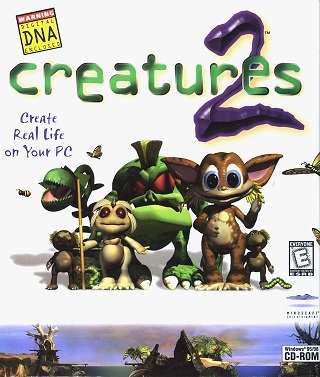 The original version of Creatures 2, and its Albian Years counterpart, will run on Windows 2000, Windows Millenium Edition and Windows XP, but not Windows Vista, Windows 7, Windows 8/8.1 or Windows 10. The GOG Albian Years version, however, is fully compatible with these operating systems. Deji has also found a fix to get the regular game to run on Windows Vista and Windows 7. There are multiple methods available to run the GOG release of Creatures 2 on modern versions of Windows. Please note that these fixes may not work with older versions of Creatures 2. You can use DXWnd to launch Creatures 2. This is a program that re-implements certain APIs that have been broken in Windows 8 and higher. DXWnd fixes all lag & redraw issues in Creatures 2, and even scales the output on HiDPI screens. There are some other workarounds available to get the most out of Creatures 2. You can avoid the Black Box of Doom by either following this guide or drag the dgVoodoo 2 wrapper files (D3D8.dll and D3Dlmm.dll) to its install directory. Due to the broken APIs in Windows 8 & higher, the game seems to suffer from severe lag when it runs at a 1080px resolution. One way to fix the lag is to lower your screen resolution to 1366x768. The GOG version asks for Creatures 2 to be run in 16-bit mode. It will prompt you to change it, though you will have to change it back manually. A workaround for this can be found here, making launching Creatures 2 much easier, and removing the need to change the color depth back when finished. Some parts of the user interface, including the status bar and "Tip of the day" window, won't display properly in Windows 10. There is currently no known workaround for this. For additional, fan-made breeds, see Creatures 2 breed slot list. A Macintosh port of Creatures 2 was begun by long time (Millennium/ Cyberlife) programmer and wise old sage Keith Hook. Keith took over the management of the Origin2 project and the port was passed to a contractor. Unfortunately this work was never finished and Mindscape lost interest in the project. The Creatures 2 inside box art features a mysterious Norn that appears to have the limbs and hairstyle of a Purple Mountain Norn, but with a more modern-looking body and main head. It is unknown what this Norn was intended to be, though it could likely have been a "dummy" norn used to make sure everything in the world was to scale. Creatures 2 was the first of the series to include a real ecological system, including seasons and weather. Creatures 2 was widely anticipated. It is likely that around 450,000 copies of the original Creatures had been sold by the time the game was released, and a huge following had developed behind it. 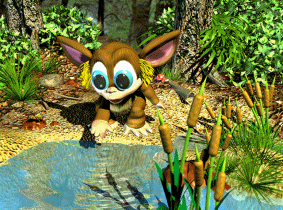 Development of Creatures 2 began in Q3, 1997. Unfortunately, the Creatures 2 launch did not go as planned. The Early Adoption Program failed to deliver on its basic promise of being "early", and the game had several major flaws, the most notable of which was a deficient norn genome that lead to OHSS. Cyberlife was subsequently accused of gouging customers when they released a Life Kit with an improved genome (as well as other features) but neglected to release this as a patch to the original game until several weeks had passed. In addition, documentation was considered scanty, especially by those who had owned Creatures - much appeared to have been reserved for the strategy guidebook, Creatures 2: Official Strategies & Secrets. This could be a result of tighter deadlines for the manual rather than than the book (considering Mindscape's requirements for translation, packaging and distribution) or publisher-related editing of the manual for simplicity. However, these reasons did not go down well with people who had just bought a $40 game only to find that the manual's instructions for getting norns to feed did not work reliably. Overall, Creatures 2 was probably a commercial success (despite inadequate marketing, which affected subsequent games as well) - however, it could be seen as a strategic failure, as for many it compromised the trust between the community and Cyberlife. Much had been promised, and yet many users considered the only improvement over the original to be the graphics. Third-party developers were naturally less willing to work on a game that they did not really enjoy playing, and this probably affected the supply of COBs. Things improved after the development of the Canny Norns and Nova Subterra, but some people had lost interest by then, and it is impossible to say how many people would have become part of the community but never found out about the improved genomes and so grew prematurely tired of the game. This page was last modified on 16 September 2018, at 21:01.